Other housings simply waterproof your camera. An Ikelite Smart Housing improves your photos. TTL or "Through-The-Lens" flash metering means the camera controls flash duration to properly expose an image. Only Ikelite Smart Housings are able to tell your camera that a TTL external flash is attached, allowing the camera to adjust exposure more accurately*. Spend more time showing off great photos, and less time tinkering in Photoshop. Other housings simply waterproof your camera. An Ikelite Smart Housing improves your photos. TTL or "Through-The-Lens" flash metering means the camera controls flash duration to properly expose an image. Only Ikelite Smart Housings are able to tell your camera that a TTL external flash is attached, allowing the camera to adjust exposure more accurately*. Spend more time showing off great photos, and less time tinkering in Photoshop. Stop the drain on your camera's battery. Fiber optic slave flash units require the camera's flash to fire every time. This acts as a constant drain on your camera's battery life and recycle time between shots. An Ikelite Smart Housing translates direct electrical impulses from your camera, triggering your strobe and precisely adjusting its power without the need to fire the camera's flash. In-line communication between the strobe and the camera completely eliminates signal interference and false triggering caused by light rays bouncing off the water's surface or your buddy's flash going off. Shouldn't it be easier to adjust your strobe settings? With a Smart Housing, it is. Exposure adjustments directly through the back of the housing put the perfect shot within reach every time. Tweak your exposure or take total control without taking your hand off of your housing. Two pushbuttons below the camera's LCD viewfinder act as a remote control for Ikelite DS-series strobes*. Access plus/minus exposure compensation in TTL mode, plus 7 manual power settings in half-stop increments. Strobe settings are indicated by a series of LED lights and plainly visible even at night. Thoughtfully designed for ergonomic handling. Controls are customized to put all important camera functions within comfortable reach. Unlike other housings, we bring video record start/stop and AF lock out to the side of the housing for quick access using your thumb without taking a hand off of the handles. Using a lever control ensures that your video will start and stop without the shakiness typically caused by rear push button action. Comfort and control come standard. For a system of this caliber, a tray with dual handles is essential to good handling, balance underwater and attachment of external lighting. An aluminum tray with right- and left-hand rubberized grips is included with the Ikelite housing for the Panasonic Lumix GH3, providing comfortable hold, two quick release points for strobe and video arms, and tripod attachment holes. The complete handle assembly removes with just two screws for traveling. Unleash your creativity with options for macro, zoom and wide angle lenses. An over-sized knob smoothly engages our unique system of universal zoom gears. Other manufacturers offer lens-specific zoom sleeves which can retail for over US$200. We provide two zoom sets with each housing, one for use with most popular larger diameter zoom lenses and one designed for use with smaller diameter zoom lenses. Both sets are lightweight and easy to install with no modification to the lens required. A variety of dome and flat ports attach with four locking latches for maximum security and quick changes between dives. Choose a port to suit your lens by using our port finderrefer the Required Accessories section below. Clearly superior strength and assurance. Special polycarbonate blends allow us to create an extremely strong yet clear and lightweight enclosure. Visual and audio leak alarms only serve to tell you the last thing you want to hearthat water has entered your housing. Vacuum test systems require their own water-proofed ports and additional equipment subject to fail. We believe there's no substitute for inspecting the actual o-ring seal once your housing is closed. Our 100% clear back lets you see that the housing is watertight and dry before you enter the water, and provides full view of the camera while you're diving. And did we mention that polycarbonate never bubbles or flakes and is fundamentally corrosion-resistant? Quality in engineering, manufacturing and service. Like every Ikelite product, the 6860.03 housing for the Panasonic Lumix GH3 is designed, built and tested in the USA. We use locally sourced, top-grade materials from trusted vendors we've been working with for decades. Our housings are built by hand and individually tested for fit, function and waterproof integrity. The average assembly technician is a certified scuba diver and has over 16 years of experience building Ikelite products. We back our products with over 50 years of experience and service within the dive industry. 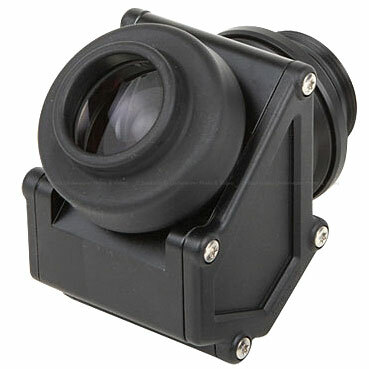 A compatible Ikelite lens port is required for operation of this housing and must be purchased separately. Lens ports vary based on length and type of lens. Take full advantage of our exclusive circuitry for true Panasonic TTL metering by attaching a current model Ikelite DS Substrobe. Accepts Ikelite 4103.51 single or 4103.52 dual sync cord to attach an Ikelite DS Substrobe. Available to attach compatible Nikonos, Sea & Sea or Inon strobes. Non-Ikelite strobes disable the built-in TTL circuitry and provide manual flash exposure only. Optically triggered strobes are not compatible with this installation. For the attachment of strobes, video lights and other accessories.